GREAT FOR BEGINNERS – With its ultra-stable 32″ width, this board is easy for anyone to balance on. Can support up to 352 lbs. The perfect family activity that requires no batteries or roaming charges no matter where it is used. 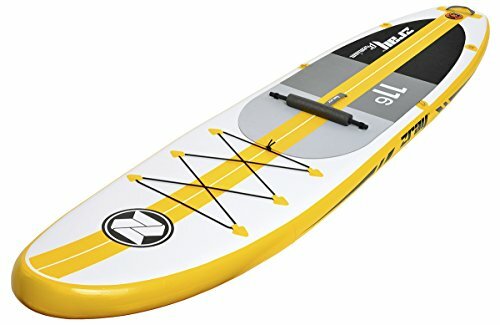 The Z-Ray A4 Touring SUP is the perfect touring inflatable paddleboard for all skill levels. Its ultra-stable 32″ width makes it particularly suitable for beginners. Our Z-Ray boards are made to the highest quality standards with super strong, scratch resistant, patented drop-stitched PVC and 500D 18 x 20 PVC fall seam tape for finishing and gluing. 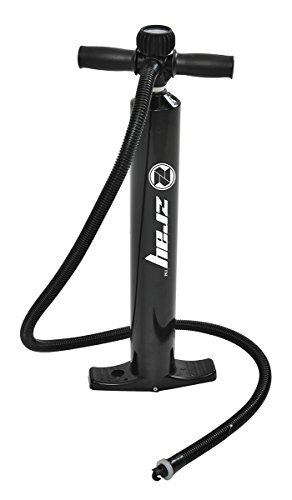 The board itself measures 11’6″ x 32″ x 6″ when fully inflated, which can be accomplished in minutes using the high capacity hand inflation pump (included). 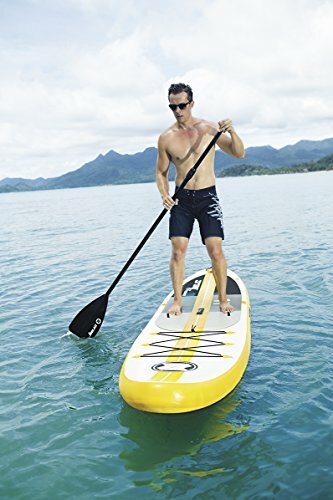 Moreover, the Z-Ray A4 iSUP board features 12 stainless steel D-rings that are located all over the board for securing cargo, adding a kayak seat (not included) or attaching a safety leash. An EVA traction pad covers half the board’s back to prevent unwanted slippage while the three-fin setup (2 fixed, 1 removable) makes this board very stable even in rough waters. The included aluminum paddle is lightweight and adjustable to suit your height. 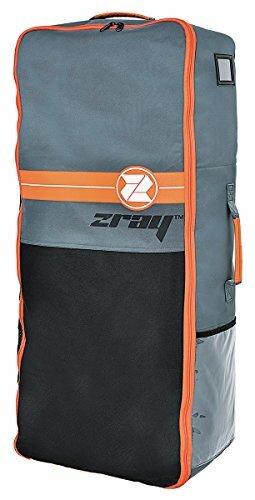 This Z-Ray board comes with a high-pressure pump, an adjustable aluminum paddle, a backpack to easily carry your SUP, a footrest and a closing belt. 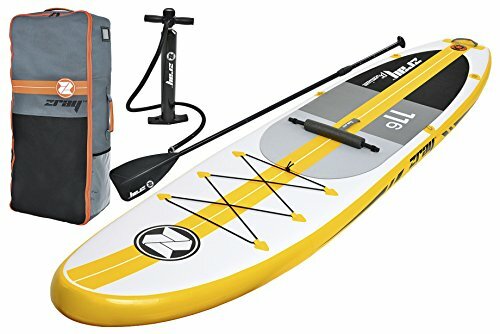 It is the perfect all-around inflatable paddleboard for touring on a lake or river.